Last week, Nintendo released the Nintendo Classic Mini: Super Famicom in Japan. 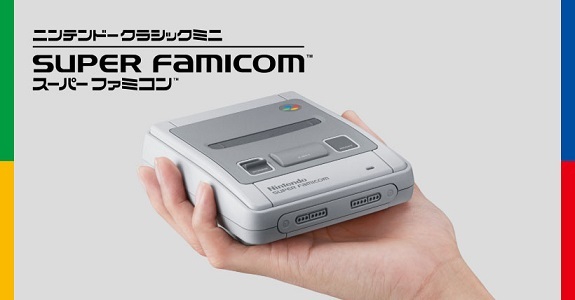 It’s basically the Japanese equivalent of the Nintendo Classic Mini: Super Nintendo Entertainment System / Super Nintendo Entertainment System: Super NES Classic Edition, but for the Famicom instead. For some reason, it was released in Japan one week after Europe and North America. Last year, the Nintendo Classic Mini: Family Computer sold over 260 000 units on launch week, and remained sold out for several weeks in a row. And it looks like the Nintendo Classic Mini: Super Famicom is off to an even stronger starts, thanks to significantly higher shipments. Famitsu just published a preliminary sales report (something they only do for major hardware launches), and revealed that the plug-n-play console sold over 368 000 units during its launch week in Japan (368 913 units to be precise). As you can see, that’s significantly better than the Famicom Mini… but it still sold out at launch! Naturally, Famitsu expects sales to remain strong throughout the holiday period. The Nintendo Classic Mini: Family Computer ended up selling over 560 000 units in 2016 alone, and the Super Famicom Mini is expected to sell much better than that. After all, Nintendo has promised regular shipments throughout the rest of the year, and into 2018. Besides, it’s highly unlikely the Nintendo Classic Mini: Super Famicom is going to sell less than 200 000 during the next 3 months! Unfortunately, Nintendo hasn’t shared any data for the SNES Classic / SNES Mini in Europe and or North America, but we will most likely get a global announcement within the next couple of days or weeks. At the very least, we will get some data along with the latest financial results (for Q2 2017-18, at the end of the month).